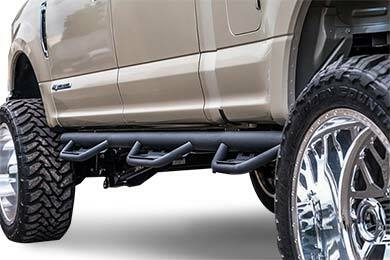 Havoc Offroad HS3 Side Steps - Wheel to Wheel Truck Steps - Free Shipping! 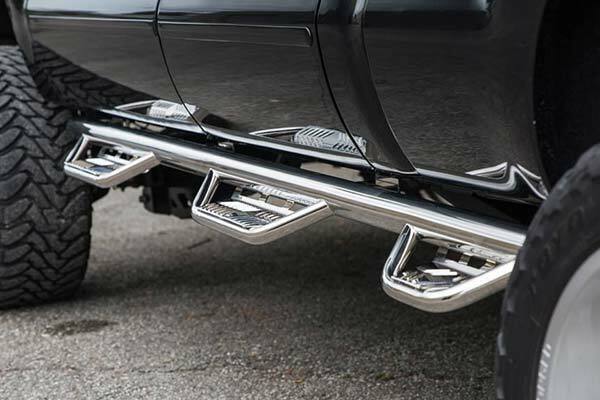 The Havoc HS3 Steps were designed with the customer in mind. Tested and true, these bars dominate the competition. 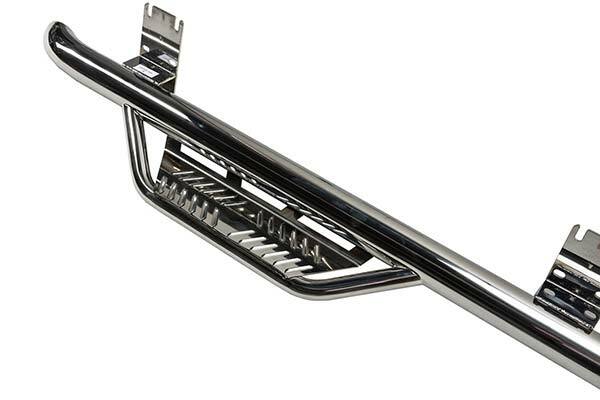 The HS3 Steps are made from 1.8mm Stainless Steel tubing. This makes this product super strong and ready for any environment. 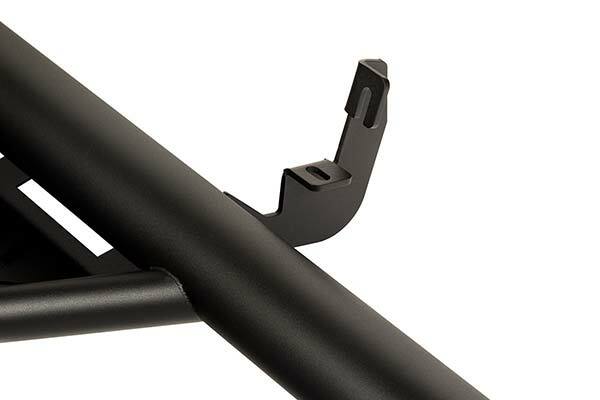 If the Stainless Steel Construction wasn't enough, this bar is also coated in a textured black powder coat to provide a durable finish. 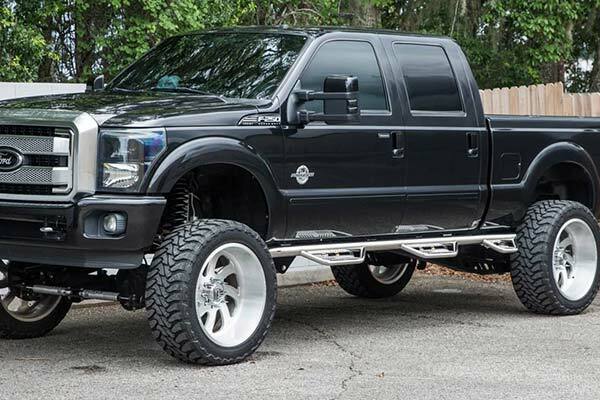 This keeps any water, sand, or snow off the stainless steel and prevents any corrosion from forming. The Havoc HS3 Step provides a 4.75 inch step pad with raised slots to keep your foot planted. A bent outer edge and inner toe guard keep your foot on the step and contribute to a safe and secure stepping area at any time of year. 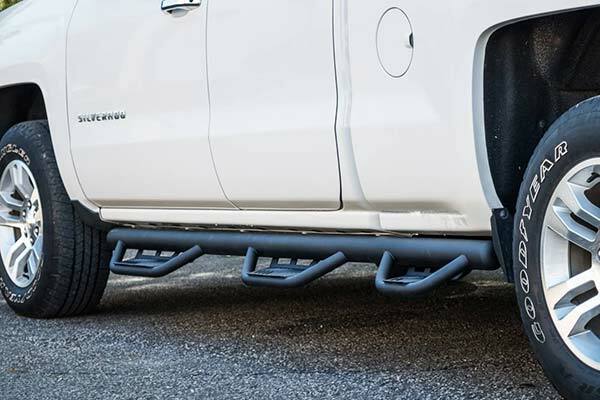 These steps are built specifically for your vehicle. 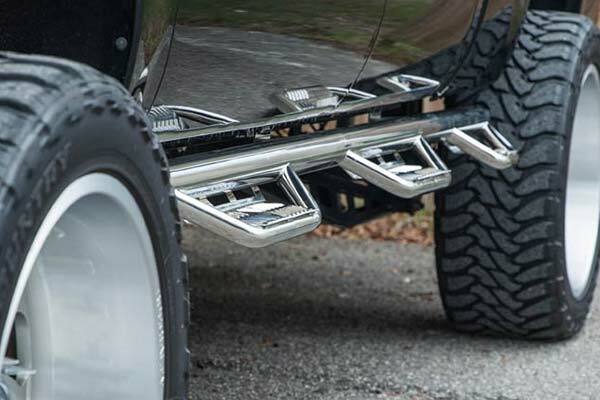 Integrated brackets mean 100% stainless steel throughout the step, keeping these bars rugged and rust free. The HS3 Steps come with fully welded end caps. 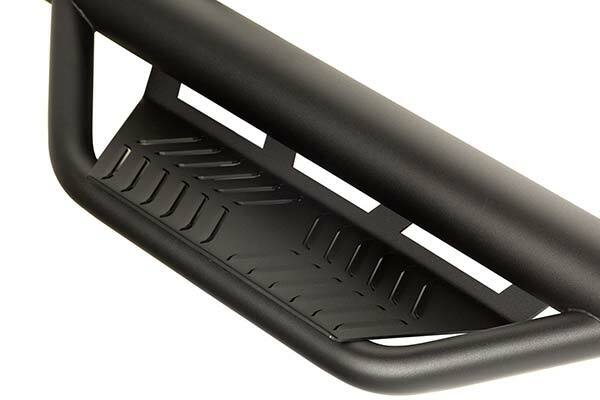 This keeps any debris from getting inside the bar, providing longevity and an overall clean look. Reference # 753-507-126 © 2000-2019 AutoAnything, Inc.